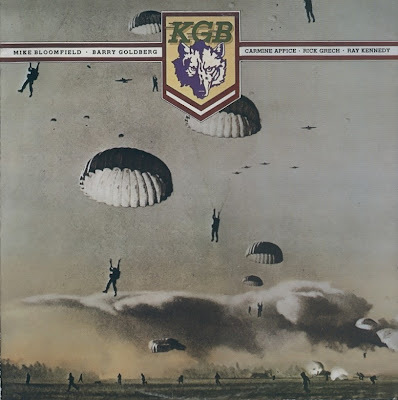 "In 1974 Bloomfield hooked up with a failed supergroup called KGB, from the initials of Ray Kennedy (co-writer of "Sail On, Sailor"), Barry Goldberg on keyboards and Bloomfield on guitar. The band had a rhythm section of Rick Grech on bass & Carmine Appice on drums. Grech and Bloomfield immediately quit after its release, stating they never had faith in the project. The album was not well received, but it did contain the standout track "Sail On, Sailor". Its authorship was credited only to "Wilson-Kennedy", and had a bluesy, darker feel, along with Ray Kennedy's original cocaine related lyrics."